Dialectical behavior therapy (DBT) skills have been demonstrated to be effective in helping adolescents manage difficult emotional situations, cope with stress, and make better decisions. 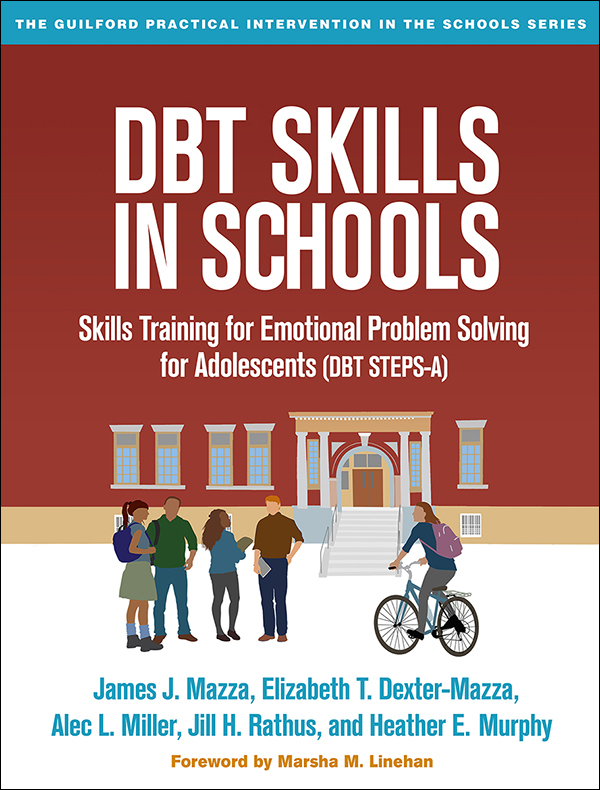 From leading experts in DBT and school-based interventions, this unique manual offers the first nonclinical application of DBT skills. The book presents an innovative social–emotional learning curriculum designed to be taught at the universal level in grades 6-12. Explicit instructions for teaching the skills—mindfulness, distress tolerance, emotion regulation, and interpersonal effectiveness—are provided in 30 lesson plans, complete with numerous reproducible tools: 99 handouts, a diary card, and three student tests. The large-size format and lay-flat binding facilitate photocopying; purchasers also get access to a Web page where they can download and print the reproducible materials.